If you are in an accident, first make sure you’re safe, call 911, and get a police report. If your vehicle is unable to be driven, have it towed directly to our shop. If you are unsure about whether or not to contact your insurance company about your repair, call us first. We will make an appointment for a free estimate and will discuss the ins and outs of involving your insurance company. If you know you want to call your insurance company, call them first. They will give you a claim number and explain the procedure they require to have your vehicle repaired. They might pay you directly from our estimate. They might ask you to go to their location (or they may come to you) so they can write their own estimate, and they will pay you the amount of their estimate. If this is the case, Panorama Collision’s estimate becomes null and void, and we will fix your vehicle according to their estimate. If Panorama Collision is one of your insurance company’s direct repair shops, come see us for an estimate and they will pay us directly from our estimate. After the estimate has been made, schedule an appointment with us for repairs. Drop your vehicle off on the scheduled date. Pick up a loaner car from us. We will keep you informed of the status of your repair. On the scheduled pick-up date, we will call you to tell you when you can pick up your vehicle. 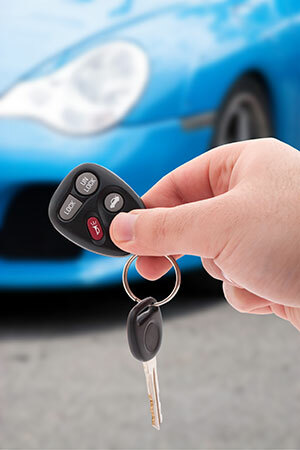 Return your loaner car, examine your vehicle, and drive away! What if Panorama Collision’s estimate is different from the one my insurance company gave me? We will work directly from your insurance estimate. If we need additional funds to return your vehicle to pre-accident condition, we will contact your insurance company directly and negotiate for the necessary repairs or parts. I lease my vehicle. Am I required to have it repaired at the dealership? No. Under New York State law you may have your vehicle fixed at any repair shop you choose. How long will it take for Panorama Collision to fix my vehicle? A drivable vehicle usually takes 3 to 4 days to repair. However the repair time for towed-in vehicles can vary widely. Many variables come into play. The average is 2-1/2 weeks; some take as short as a week and others as long as 6 weeks. When we deliver your free estimate, we will tell you how long you can expect to be without your vehicle. Do I have to have my vehicle fixed at my insurance company’s preferred repair facility? No. You have a choice. Insurance companies cannot require that repairs be made at any particular place or shop.